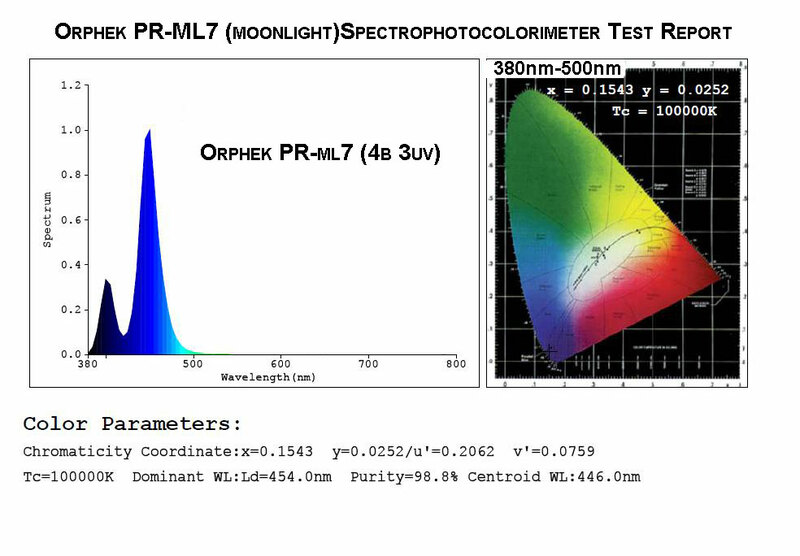 PUR differs from https://orphek.com/pur-photosynthetically-useable-radiation/ because the basic definition of PAR is any light in a specific frequency range. PUR is the usable portion of PAR, and different photosynthetic species will have a different PUR range to which they respond. For example: you are given a choice to illuminate your coral with two different lights, each with the same PAR value. However, one of these lights produces energy that peaks at 450nm, or the blue spectrum, and one peaks at 590nm, or the yellow spectrum. For zooxanthellae in your coral’s tissue, the light peaking at 450nm will have greater PUR than the light that peaks at 590nm Green LED, although the PAR numbers are the same. PUR is a much more useful way to compare LED lighting than any other method. Most LEDs emit excellent PAR, but often only ~50% of the PAR is PUR. The higher the PUR:PAR ratio (check the spectrograph!) the more effective the LED will be for lighting photosynthetic reef invertebrates. Why PUR and not PAR?